Everything we do today is done online: work, entertainment, socializing, gaming… other stuff, too. And yet a lot of people just stick with the crappy router (or modem/router combo) that their internet company sticks them with (and you usually pay a monthly fee for using it). While you don’t need the best WiFi router on the market, there are a lot of different options out there that will almost assuredly be a better fit for you. Whether you’re looking for the best budget router, the best AC router, the fastest WiFi router, the most secure router, the best dual band router, we have a list of the top rated routers to help you find the right one for you. Without further ado, here are the best routers of 2019. 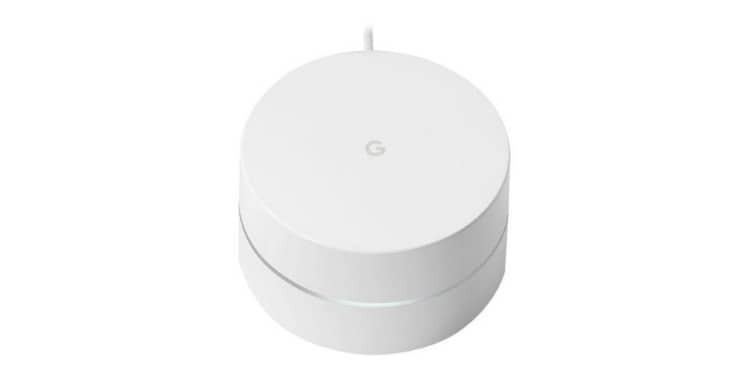 What makes the Google WiFi System one of the best on our 2019 best wireless router list is the fact that this can cover every household area because it’s a mesh WiFi. 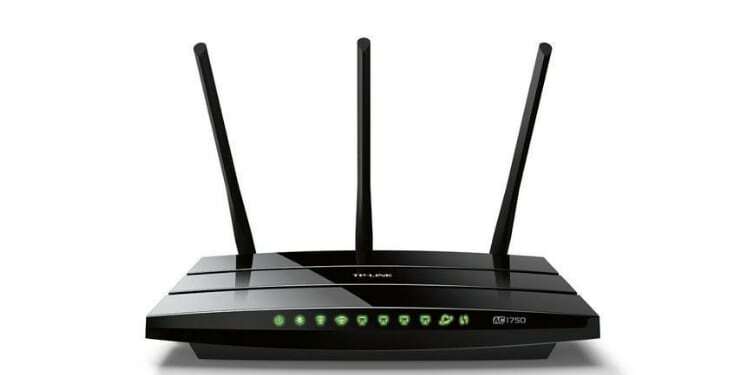 This means the main router connected to the internet can communicate with other routers to extend the signal range and give you a fast connection over a large area. The downside to this is that you’ll need more of these if you have a large house. The upside? That was probably true of a normal router anyhow. Each WiFi system covers up to 1,500 square feet, so most people should be fine. It also has a 3-pack option for those with larger houses. Of course, if you need more, then you can always buy more and just link them together. Unlike traditional routers that are square, this has a circular shape and a really modern, white design. In fact, it blends in really well as a piece of decor. It’s also has a very easy-to-setup installation perfect for newbies. The main downside is that each unit only has 1 LAN port-- if you’re using more units, this might not be a big problem. 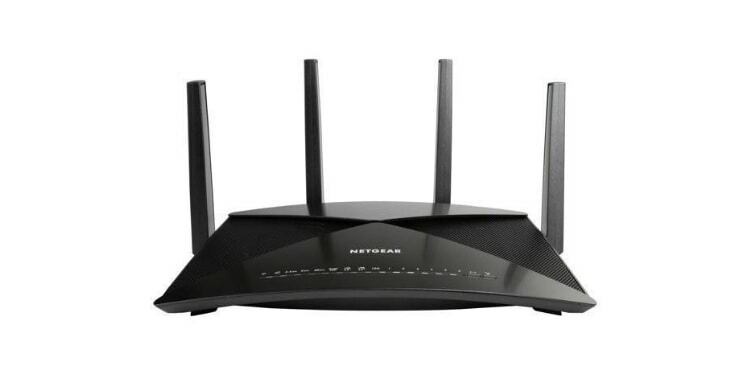 Out of the box, the NetGear R9000 Nighthawk X10 AD7200 features a really aggressive design. But the 4 antennas aren’t just for show because it also features the 60GHz band on top of the 2.4GHz and 5.0GHz bands. Unlike most routers on the list, this features the latest 802.11ad WiFi standard-- supporting the 60GHz band that’s insanely faster (close to 1Gbps throughput) but also insanely shorter coverage. With that, it’s clear that this is a strong candidate for the best gigabit router on the list-- even the best Netgear router to date. However, this has a limited range, unlike the Google WiFi. And you just can’t simply extend the coverage by buying more than one because it’s not a mesh system (oh and these come at a premium price tag). It also has a total of 6x LAN ports and 2x USB 3.0 ports that you can use as a storage hub for all your files to make transfers a lot faster. It’s just unfortunate that this doesn’t have the QoS (Quality of Service) feature that prioritizes data packets for a more stable and reliable wireless connection. This router also lets you choose which devices can have access to the internet. So even if your new device is connected to the internet, you still can’t access the internet unless you “allow” the device via Access Control. A couple things we love about the TP-Link Archer C5400 v2 are its max speed of up to 5400 Mbps and its tri-band support (1x 2.4GHz and 2x 5.0GHz). Like the rest of the consumer wireless routers, this only has 4 LAN ports. But when it comes to wireless connectivity, you can definitely count on it. This router also comes with MU-MIMO (multi-user, multiple-input, multiple-output) technology, which simply means the router can communicate with multiple devices simultaneously at once (rather than having to rapidly switch between devices), ensuring a strong and stable connection. It’s also worth noting that this router takes security seriously. The HomeCare feature it utilizes is an anti-virus that protects every single device connected to the network. And lastly, this router lets you set up a personal VPN server to browse the web and access files securely unlike the Linksys AC5400 (one of its strong competitor, also considered as the best Linksys router). On top of that, this one also has a faster RAM and Flash memory. 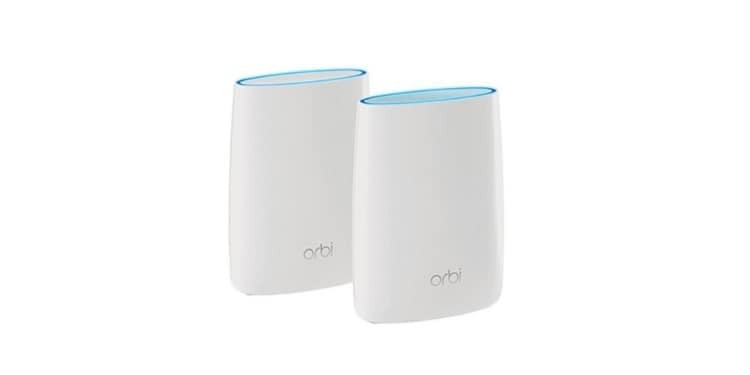 What makes the NetGear Orbi Home Mesh (RBK50) great is the fact that it’s rich in features without compromising speed. And because of this, it’s relatively expensive, coming in at around $300 for the 2-set package. 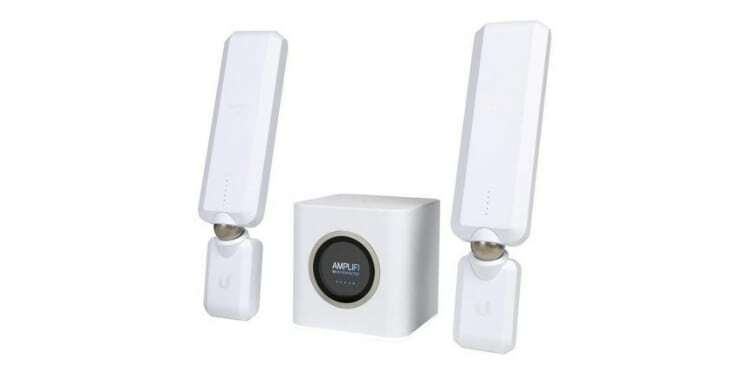 Starting off with the coverage, this wireless router can cover up to 5,000 square feet since it has 2 physical routers. So, if you have a 2-story house, you can put 1 on each floor or you can have one for personal use and the other one for guests. Separating the access point allows you and your guests to have a more stable and secure connection at all times. And this also keeps the guests from messing around with your personal network. On top of that, each router has 4 LAN ports at your disposal. Yet another thing that makes this appealing, especially for most parents, is the parental control feature. You can limit the daily time usage for specific websites and applications for specific family members to keep them from browsing the internet too much. Lastly, it doesn’t feature the traditional square slab with antennas pointing upward design. Rather, it has a modern touch to it-- which can be used as decor. If you’re only here to find the best internet router for gaming, this is it. The TP-Link Archer C5400 (C5400X) is your best bet. 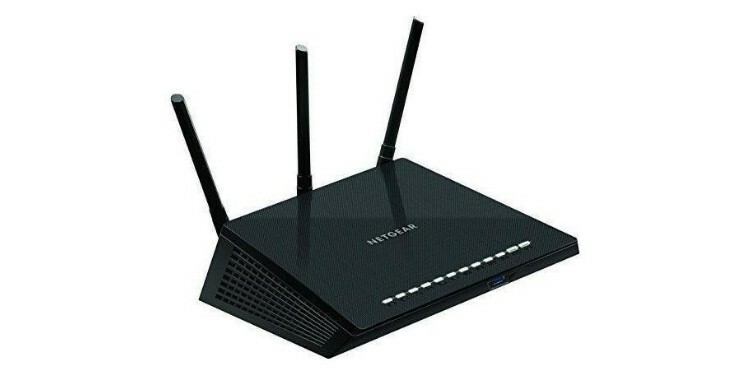 This router is specifically designed to prioritize gaming above other activities to give gamers the best gaming experience during dungeon raids or heated PVP battles in the arena. Keep in mind though that this doesn’t come cheap; it’ll set you back at least $300 and sometimes it pushes close to the $400 range after taxes + shipping are accounted for. Everything about the router is filled with features gamers will surely love. One of which is its dual 5.0GHz bands. With 2 lightning fast bands at your disposal, you can have 2 computers connected to each band for an outstanding performance. The robust Quality of Service (QoS) feature of this router is also what makes it perfect for gamers since this prioritizes gaming above all else. On top of that, this also has a built-in malware protection feature to keep everything safe. This also has 8 LAN ports at the back and 2x USB 3.0s that you can use as a hub for file transfers and such. 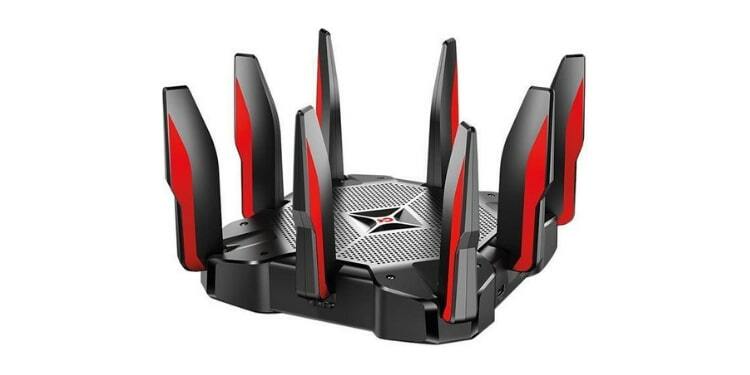 Overall, it’s a great router if you’re a gamer; how could it not be when it looks like something straight out of DOOM. Just make sure you spare a considerable amount of space since it’s relatively large. Here we have yet another mesh router with the TP-Link Deco M9 Plus (1 Pack). This may not be as affordable as the Google WiFi but it makes up for it in other areas. Speaking of area, this mesh router covers a larger area than the Google Wifi; 2 of these can cover up to 4,500 square feet while it takes 3 Google Wi-Fi’s to do the same thing. This also does a really good job of protecting your files, thanks to its comprehensive Antivirus feature; in fact, it’s one of the most secure routers on this list. Just keep in mind that you’ll only get regular database updates on Parental Controls, QoS, and Antivirus for 3 years since you’ll have to pay for the service separately in the fourth year. And even though you can still use features such as Parental Controls, QoS, and Antivirus past the three-year service, it’s still worth mentioning that these may no longer work or may only work in a limited capacity. Each of these has 2 LAN ports if you wish to connect via LAN. But unlike most consumer routers, it has a total of 3 bands (1x 2.4GHz and 2x 5.0GHz band) and a max speed of up to 2200 Mbps. You can even enable the QoS via the app. So, if you’re planning to get this for gaming and 4K streaming purposes, this can handle just as good as the rest of the gaming routers on the list. The Asus AC2900 (RT-AC68U) is another product we proudly present in this roundup. With almost 4,000 customer reviews on Amazon now (4.2 out of 5 stars), this is definitely worth mentioning in this best wireless router roundup. This router is a lot cheaper than the above-mentioned routers but the 802.11ac technology it features performs just as good compared to some of its competitors in the $150 price range. It doesn’t have a really interesting design. In fact, you can’t even mount this on a wall like most of the routers featured above. Also, this doesn’t have a really sturdy stand (as you can see on the image above) so I suggest you place this in a secured and balanced area. This router is AiMesh compatible so you can cover more area if you have another Asus WiFi that’s also AiMesh compatible. We don’t recommend using this as mesh though, since its performance isn’t outstanding compared to dedicated mesh routers. 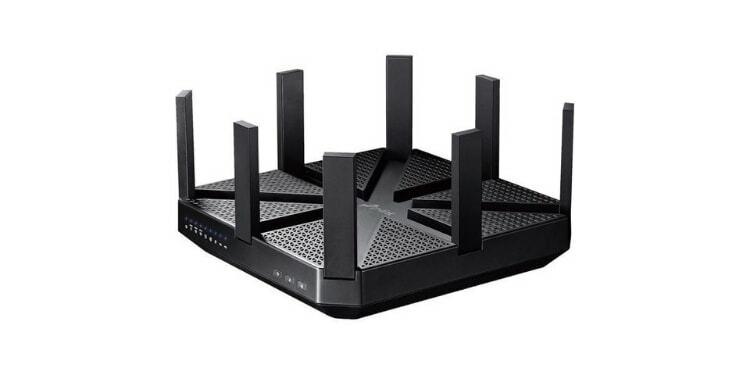 To top it all off, this AC1900 router has an AiProtection Network Security feature, parental controls to restrict websites, and QoS to give gaming and 4K streaming the strongest and most reliable connection. 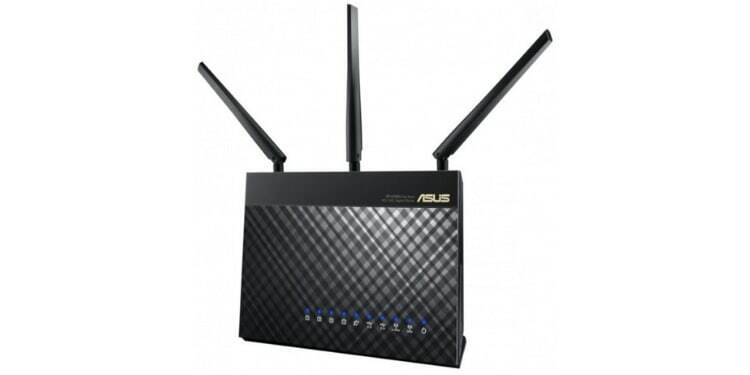 So, if you want to get the best Asus router for the price, this will be it. You can definitely count on the NETGEAR R6700 Nighthawk AC1750 when it comes to performance-to-dollar ratio. While Amazon says it usually costs around $130, it seems to stay discounted down between $90 and $70 most of the time. Even though it only has an average speed of 1750 Mbps-- that’s lower than most of the routers on our list, but not uncommon industry wide-- it utilizes MU-MIMO technology and a strong up and down QoS feature that’s great for both gaming and 4K streaming. Just know that you’ll have to update the firmware since it comes with a relatively outdated firmware out of the box. Connectivity wise, you have 4 LAN ports and 1 USB 3.0 port so you can both connect 4 computers to the router and also have a USB port that can be used to store your files wirelessly. This makes file transfer a lot faster and better. On top of that, you can also restrict website and mobile app access through its parental control features. And seeing that this has over 24,000 reviews on Amazon with a 4.1/5 rating, it’s certainly worth considering if you’re looking for the best router for the money. The AmpliFi HD WiFi System is the best wireless router for homes. Out of the box, it comes with the main router and 2 mesh points that act as extenders. Unlike most routers on the market, this has a touch screen display. Using this, you can browse through a number of menus and can even set it to show the time or the current upload and download speed. The 2 mesh points are also flexible since they can face any direction. This is made possible since they're connected via magnets. At the back, you can find 4 LAN ports and a USB port for all your files. With the help of the included two MeshPoints, you can maximize the coverage over 10,000 square feet, which is admittedly going to be overkill for most people. Since this utilizes the 802.11ac technology, you get the best connections and the fastest speeds when browsing. 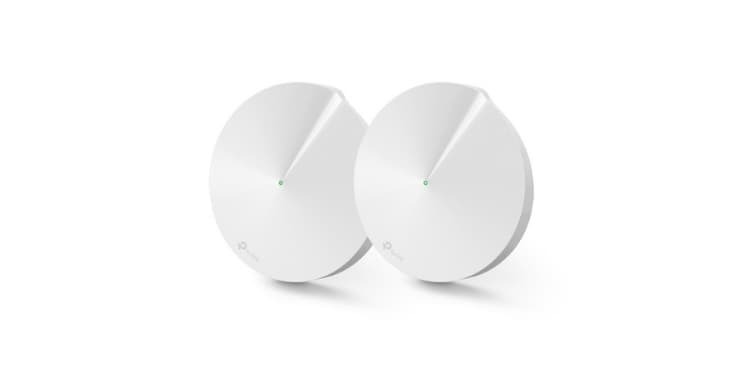 No matter where you are, these MeshPoints automatically connect you to the closest and the strongest connection to ensure you're getting the best reception at all times. Just remember that you need to use the AmpliFi app when setting up the WiFi system to get everything going. If you’re looking for the best budget router of 2019, nothing can beat the TP-Link Archer A7 AC1750. In fact, it’s ranked as Amazon’s #1 Best Seller in Computer Routers. With a speed of up to 1750 Mbps, this wireless router offers a dual-band frequency that can provide a strong and reliable connection regardless of what you’re doing. This budget router also boasts a QoS feature to maximize gaming and streaming needs. You also have 4 LAN ports at the back and 1 USB port. However, it’s worth noting that the USB port is a USB 2.0 port so don’t expect blazing fast performance when using a flash drive as a hub for all your files. This budget router also has parental controls like other premium routers on the list. So this lets you control which websites and apps can be accessed per device at certain times. Overall, there isn’t anything groundbreaking about this device but it does perform outstandingly for its price. Buying a wireless router can be a pain, especially if you have little to no idea what features really matter. Even more so as manufacturers include a lot of acronyms and other marketing terms that don’t really have significant real-life impact on most people most of the time. To make it easy, we’ll only talk about the things that really matter when buying a wireless router this 2019. Before we talk about the specific specs in detail, it is important to have a passing understanding of wireless protocols. Routers use the 802.11 protocol to send and receive data from devices. There are many versions of this wireless protocol to date (a/b/g/n/ac/ad), with 802.11ac being the most widely used and the 802.11ad being the latest. These protocols can tell us a lot about the capabilities of the router in question. For instance, the standard speed of 802.11ac is 1331 Mbps– nearly 3x faster than 802.11n (450 Mbps) — while the 802.11ad can handle a lot faster speeds (about 7 Gbps) by using its 60GHz band (which is discussed more below). Furthermore, the 802.11ac protocol and 802.11ad protocol also utilizes the MU-MIMO (Multiple Users, Multiple Input, Multiple Output) technology. Simply, this uses more than one antenna to send and receive data (up to 8 spatial streams) for a really fast and uninterrupted surfing experience. Aside from that, this also supports beamforming technology. Instead of just throwing out the signals in all directions, this sends the Wi-Fi signal directly to the device to achieve a stronger and more reliable connection. Routers have what are called bands. In layperson’s terms, each band is like a separate internet source that your router can accommodate. For instance, most routers nowadays are at least dual-band, meaning they have two bands that can run concurrently. If you have more than two devices using these two bands, then the bands will be forced to switch between these two tasks, effectively splitting that band’s effectiveness between the devices. The 5 GHz band is significantly slower than the 60 GHz band, but still insanely faster compared to the 2.4GHz band. But this is somewhat limited to a small area and is only compatible with modern devices. The 2.4 GHz band covers the largest area but is undeniably the slowest. Some older devices are only compatible with older network devices. 2.4 GHz is also generally best at going through walls. It’s worth noting that there are also tri-band routers. As you would expect these have three bands instead of just two. Specifically, they have two 5 GHz bands and one 2.4 GHz band. Since most routers come as dual-bands, you shouldn’t worry; however, if you decide to dip into some really budget routers, you might find some older single-band routers that only offer a single 2.4 GHz band. Those are best avoided. In our opinion, a lot of undue attention is given to router speed. Your router can be as fast as you want it to be, but it doesn’t really matter since your internet connection is almost always going to be significantly slower (unless you’re in one of the few cities that have access to Google Fiber). Keep in mind, a good internet connection is about 150 Mbps; and many cities in America don’t even have that. The slowest router on our list, the Google Wi-Fi system, is an AC1200 with the “AC” representing its protocol and 1200 representing its maximum theoretical bandwidth of 1200 Mbps. Since the Google Wi-Fi system is a dual-band router, that means the 1200 Mbps is split across the two bands: ~800 Mbps for the 5Ghz band and ~400 for the 2.4 GHz band. Still, in the real world, you won’t really get anywhere near that speed– with this or any other router– unless you’re connected to it with an ethernet cable. Using the numbers obtained from TrustedReviews’ testing, we see that at about 2 meters (roughly 6 feet) you get about 450 Mbps, which is likely way more than you’re getting from your IPS. Now, the further you get away from it, the more walls are in the way, etc, the worse your signal will get. In fact, when using only one router, he was getting as low as 15 Mbps. That’s definitely bad, and likely lower than what many internet services provide, but it’s still enough to game on or watch Netflix (both require around 5 Mbps at their lowest). It’s also worth noting that according to their tests, several other routers weren’t performing quite so badly. Now, I’m not telling you to go out and get a worse package with your IPS (remember, if other people are using the internet, things would get really slow, really quick), or to even buy a crappy router, but I am saying there are other features that are more important to consider since most routers will accommodate your maximum internet speeds by default. Wireless routers these days offer a wide variety of features, all of which are aimed to provide stronger, better, or wider coverage. But the rule of thumb is to choose a router with at least 4 Ethernet ports and is dual-band (has both 2.4GHz and 5.0GHz frequencies). The former gives you the option to connect your computers, laptops, and other network-attached storage drives via LAN, which is the best connection you can get. If you don’t plan to use an Ethernet cable, though, then you don’t really need 4; although, all routers will come with at least one, usually more. If you’re also involved in transferring large files, a router that supports faster throughput will be essential. And if that’s the case, look for a router that supports link aggregation like the TP-Link Archer C5400X AC5400 featured in this article. This uses 2 Ethernet ports to provide you with significantly faster throughput, sometimes up to 2Gbps. It also acts as a fail-safe feature in case one LAN connection disconnects. It’s also worth checking whether or not the router supports QoS (Quality of Service) if your main purpose is for gaming or 4K video streaming since this feature basically prioritizes these two, respectively, above any other tasks. And if you’re a parent, routers that support Parental Control is essential as this gives you full control over all devices connected to the router. Specifically, you can filter which websites the device can only have access to or block inappropriate websites and even pause WiFi access real-time. Lastly, you’ll want to compare your top picks first before making any decision. This is why I highly recommend you use RouterChart.com. This is a router comparison website that lets you compare up to 3 routers at once to make your selection easier.